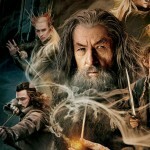 Join the Google+ hangout with Peter Jackson, Evangeline Lilly and Richard Armitage later today! Join Peter Jackson, Evangeline Lilly and Richard Armitage later today at 10.15am PT (check here for when that is in your timezone) for an exclusive Google+ Hangout. The trio will be answering fan questions live — if you have a G+ account you can RSVP here and submit them using #TheHobbit hashtag. They will also be introducing a never-before-seen clip from The Hobbit: The Desolation of Smaug! You can also watch live in the Youtube frame that we’ve embedded just below — it will go live once the show starts.